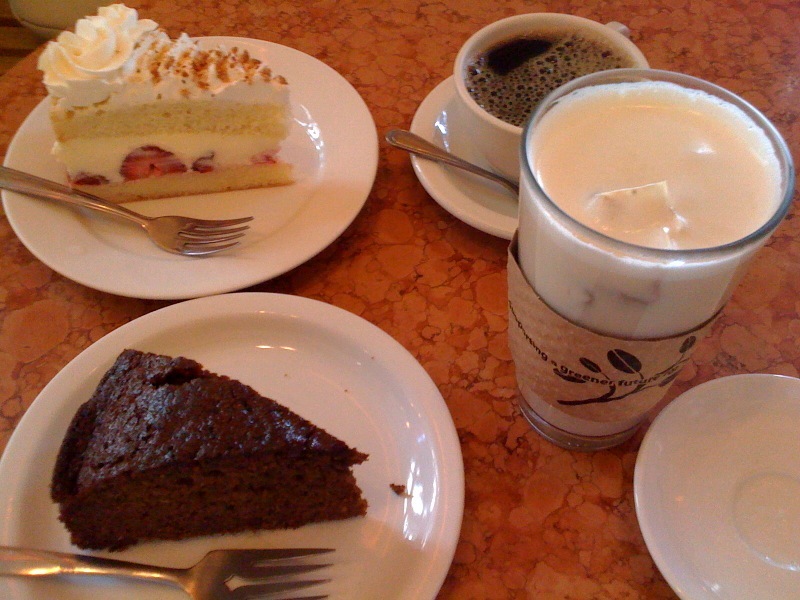 The cakes served at Crixa Cakes in Berkeley are delicious. My friend X and I ordered slices of Ginger Cake and Strawberry Cream Cake. I could see and taste the fresh ginger in the former and the latter was generously layered with fruit. For drink, X ordered a black coffee and I a Cochin Masala Chai. The tea was exquisitely spiced and was thick and creamy, like a milkshake.